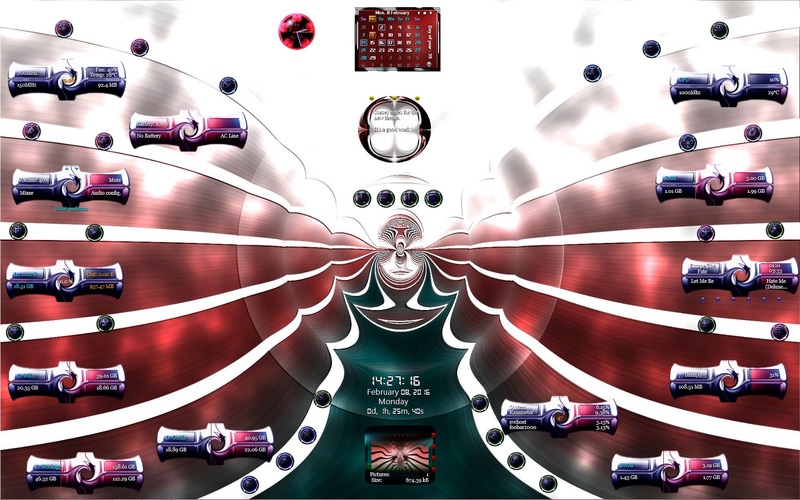 Nebula(V1) by Sephirotess: "SpaceSuite" new version :-). - Time: shows current time, full date (month, day, year and weekday) and uptime. fixed (250), a sound is played and the display of the rate becomes slightly bigger. - Process: shows number of current processes. The bar indicates the number of process, with a basis of 100. - Swap: shows total Swap, used Swap (to the left) and free Swap (to the right. (screensaver), System properties, TaskManager, User's folder, lock workstation, Window Switcher.